We continue to monitor the Ukrainian Armed Forces’s computer networks and provide the data we obtained to the public. In order to protect our sources of information we have decided not to publish the documents obtained as a result of computer hacking of Ukrainian military officials, as we did before, and only disclose the facts from confidential correspondence. Having access to classified information of Ukrainian security services, we are able to confirm that the fratricidal war led by the Kiev regime is from a military standpoint in an impasse. 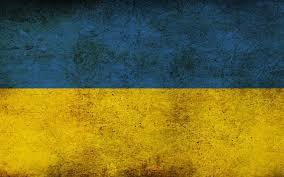 The Kiev forces have experienced significant losses. anti-aircraft mounts ZU-23-2 – 3 units; wheeled vehicles – 44 units. howitzers D-30 – 10 units; 82 mm. caliber mortars – 32 units; anti-aircraft mounts ZU-23-2 – 18 units; wheeled vehicles – 124 units. This “extravagance” of the Ukrainian armed forces is too costly for the country, which has imposed a war tax on its citizens. How much more money is the pro-US Kiev regime ready to spend to kill civilians and destroy infrastructure in order to please its Western sponsors?! All this is happening in time of continued economic recession, lack of money in the state budget and the hot Summer season, which Ukraine will meet with no energy resources.